Why am I here? Do you struggle with that question at times? The truth is, because Jesus loves you and gave his life to save you, nothing you do is really mundane. Every moment of your life matters to him! That’s why we’d love to send you a copy of Why Am I Here? by Pastor David Scharf to encourage you deeply about how your loving heavenly Father chose you, loves you, and values you more than you can imagine. 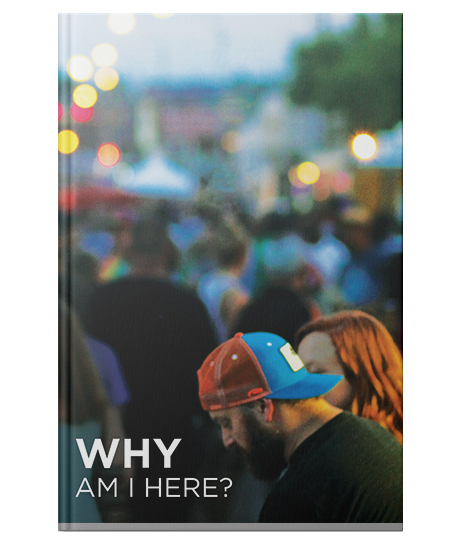 Paperback, 44 pages, 4.75" X 7"
Successfully added Why Am I Here? to your cart.